China Defense Blog: Photos of the day: 16th Landing Ship Squadron, 6th Landing Ship Flotilla, South Sea Fleet in action. Photos of the day: 16th Landing Ship Squadron, 6th Landing Ship Flotilla, South Sea Fleet in action. 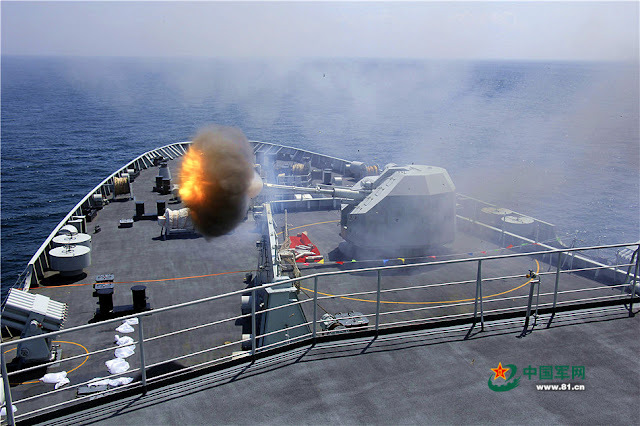 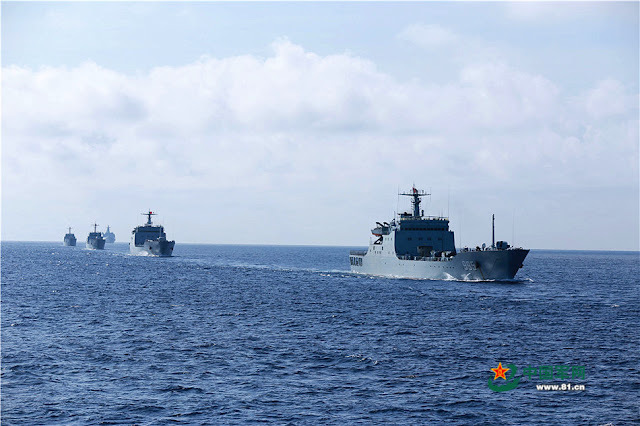 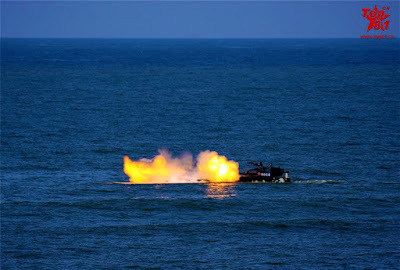 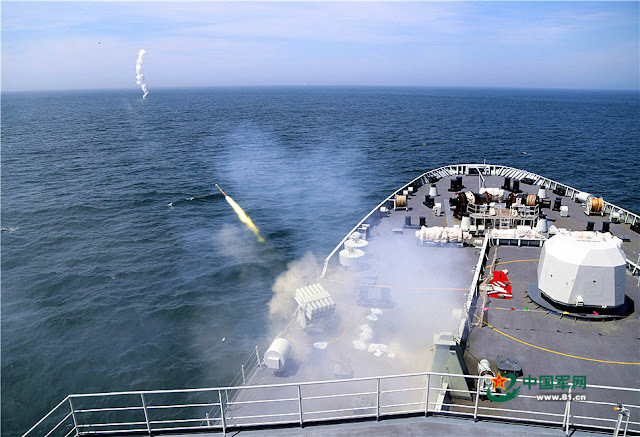 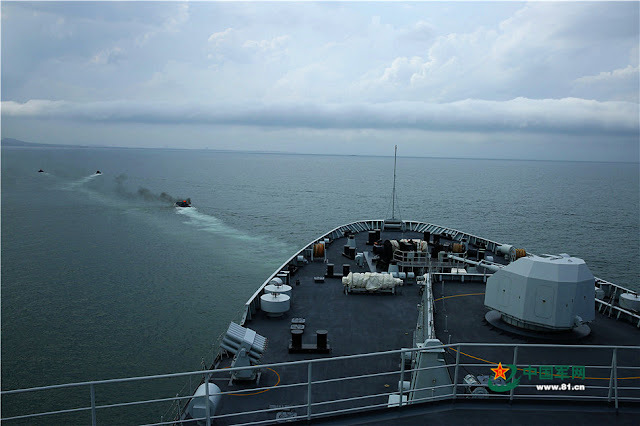 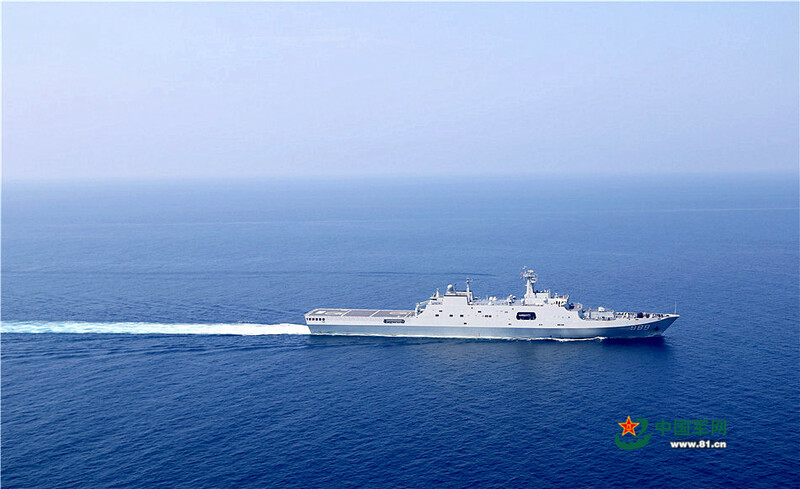 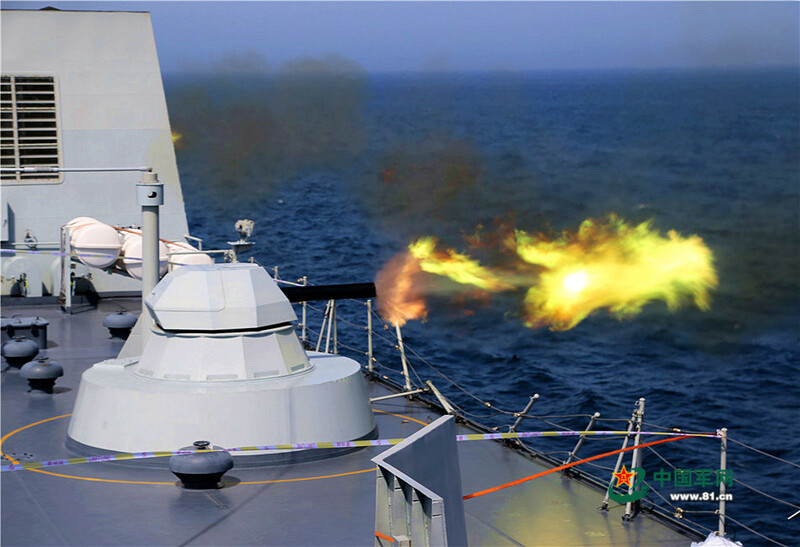 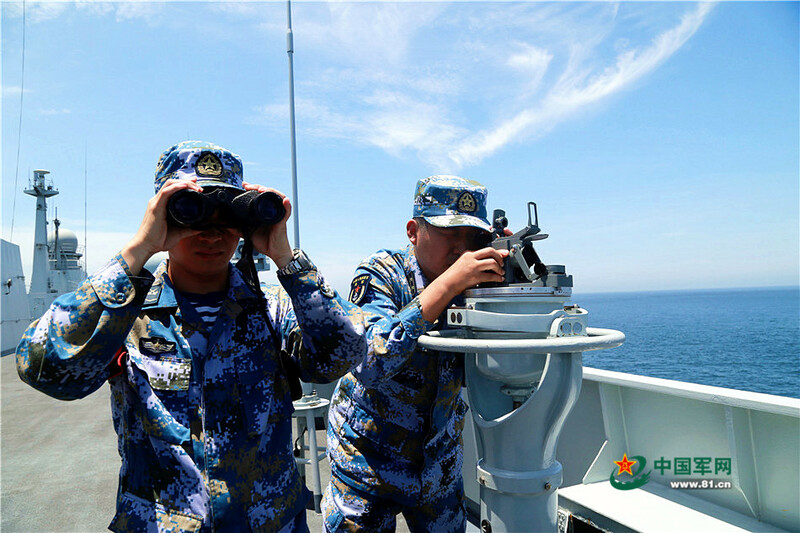 On June 22nd, a task force from the 6th Landing Ship Flotilla conducted a "Blue vs Red" confrontation exercise. 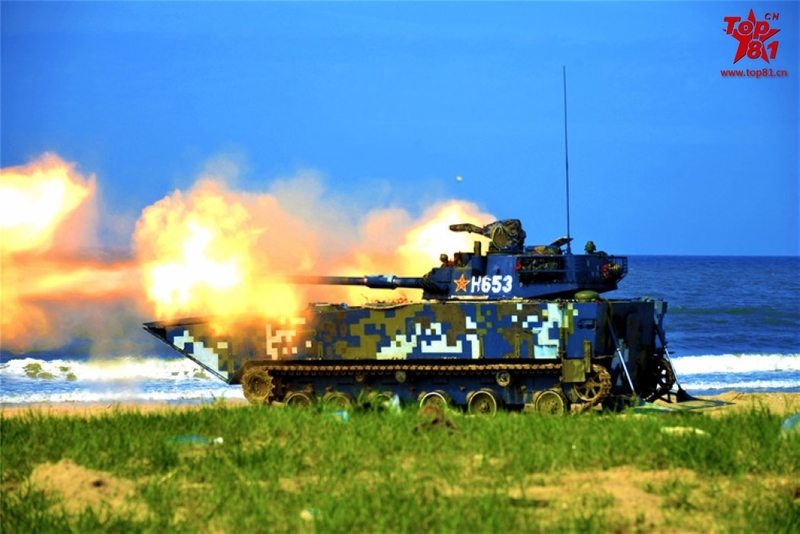 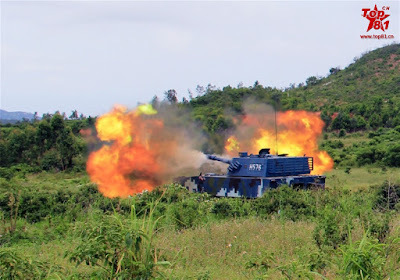 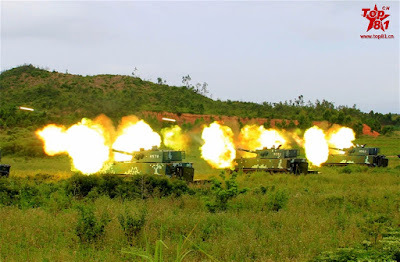 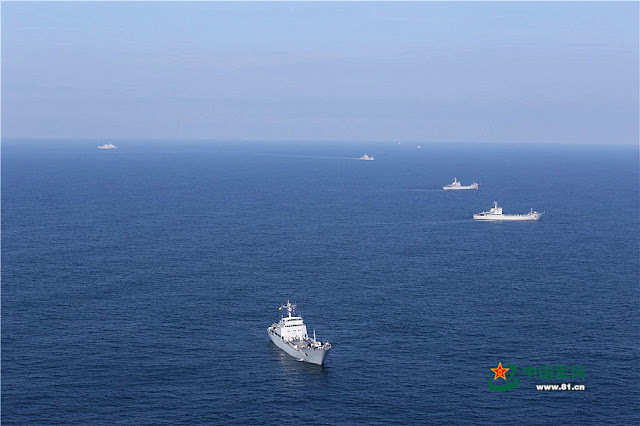 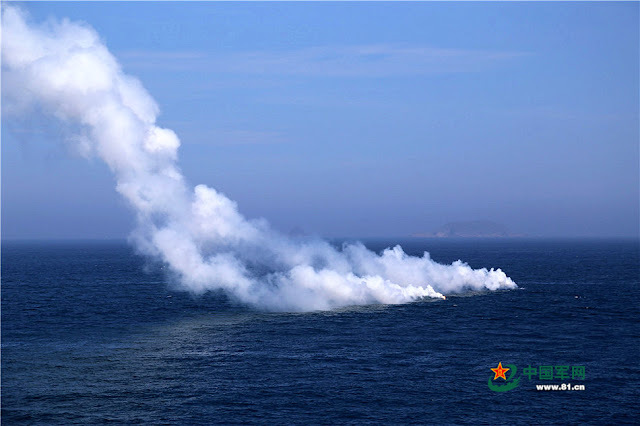 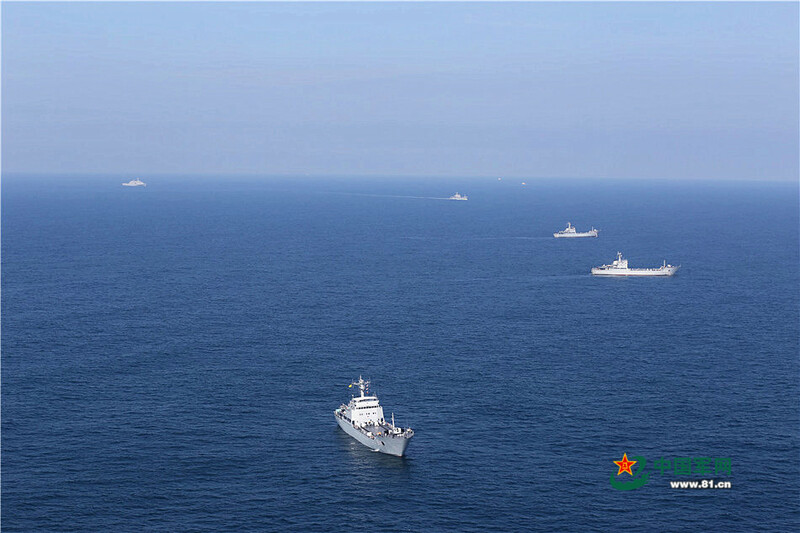 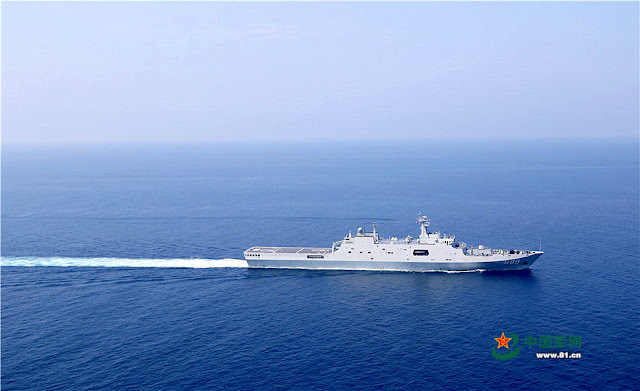 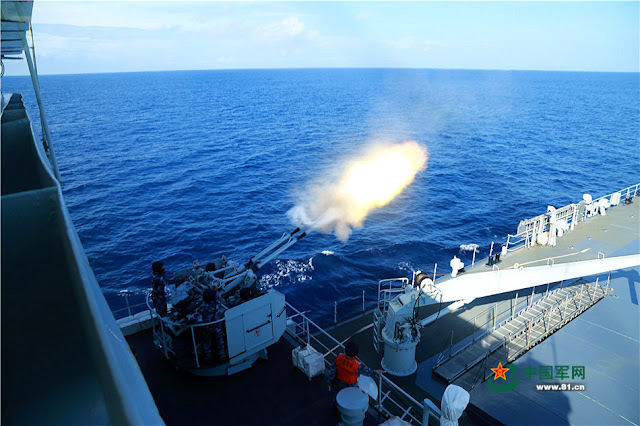 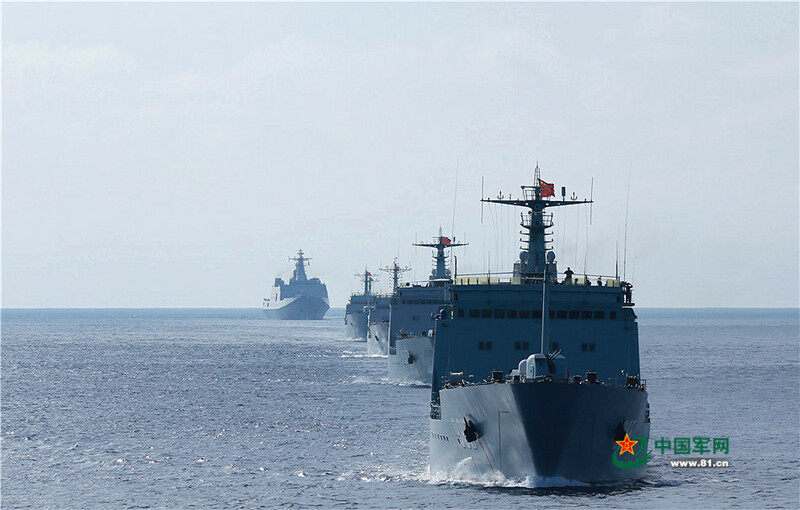 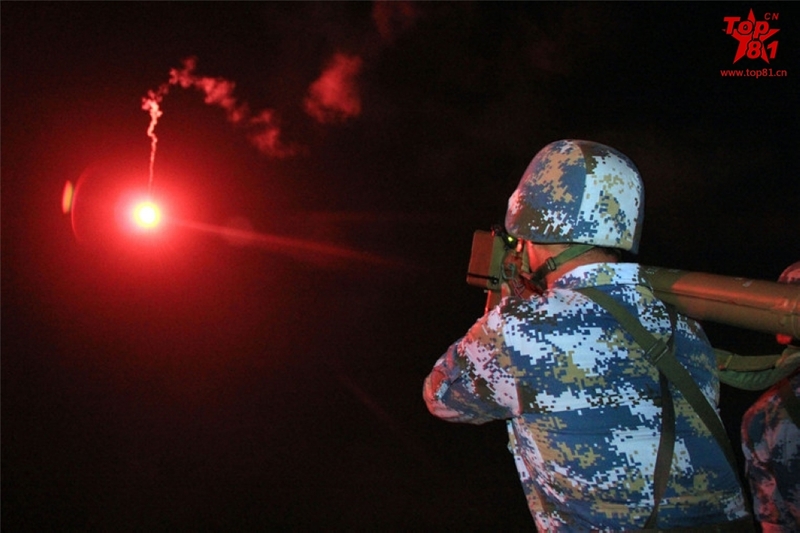 The task force was greeted by "Aircraft, missiles, submarines" of the bad guy "red army" upon arrival of an undisclosed area off South China Sea forcing it to launch the marine shore party under attack. 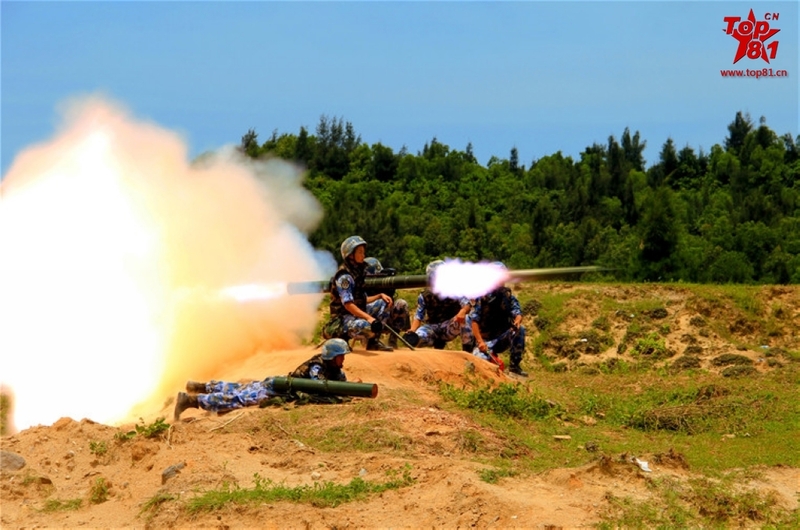 Here are their action photos. 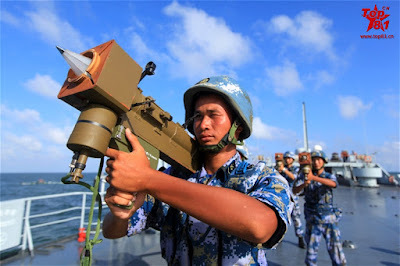 Please note that "Good Guy's" air cover and other supporting elements were removed from this PR set for OpSec reasons. I personally don't see what is the big deal.